After completing a series of ten counting films featuring a clumsy baker for Sesame Street’s first season, Jim was ready to try making films in other styles. For season two, he contracted with Children’s Television Workshop to make an additional eleven films (numbers 2 – 12) using an array of techniques. He used stop-motion, computer animation, traditional animation, painted under the camera and moved cut paper to music, and he made two live-action shorts for the numbers two and three. Number Two is a charming film depicting two little girls, Sumiko Kimura and Alison von Brock, as they play with two dolls and a doll house. The dolls, made by the Madame Alexander Company and purchased as props, fit in a house built by Jim for his daughter Cheryl. The action, accompanied by a song written by Alan Scott, Marilyn Scott and Keith Textor and sung by Juli Christman, centers on the two dolls as they have a tea party and then go to bed. After lights out, they are visited by two cats, Henson family pets, who wreck havoc in the house. Jane Henson explained that to lure the cats into the house, the tea cups were filled with the liquid from canned tuna fish. While Number Two is something of a departure from the more manic style of Jim’s other counting films, it captures a gentle mood that is evident in some of his lesser known projects. In the descriptions of his nightclub project Cyclia, Jim hoped to match quieter music with filmed depictions of nature – light coming through trees, reflected off water, and changing over time. His 1974 pitch for a television special called Reflections suggested, “…an hour of visual poetry. It is an affirmation of our sense of wonder.” Perhaps the feel of Number Two is most evident in Jim’s short Run, which ponders the simple joys of childhood through footage of his daughters running in a wooded landscape. The Two Dolls and Two Girls from the Number Two film, 1970. 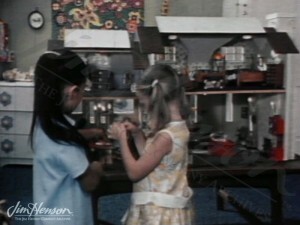 The Two Girls with Cheryl Henson’s dollhouse in Number Two, 1970. 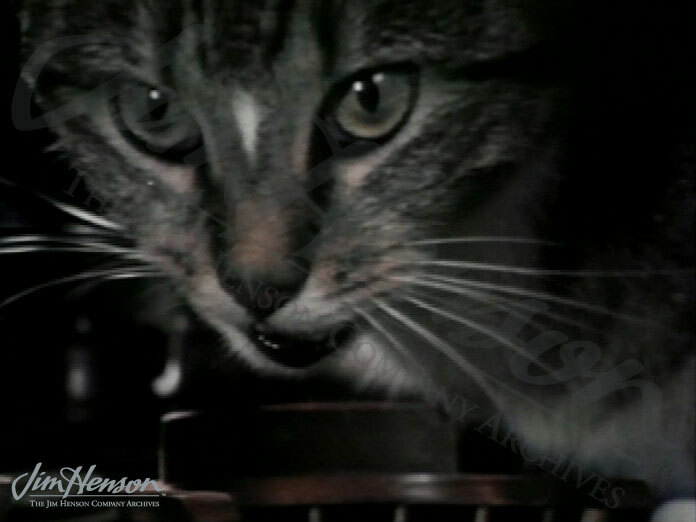 The Hensons’ cat makes his television debut, 1970. 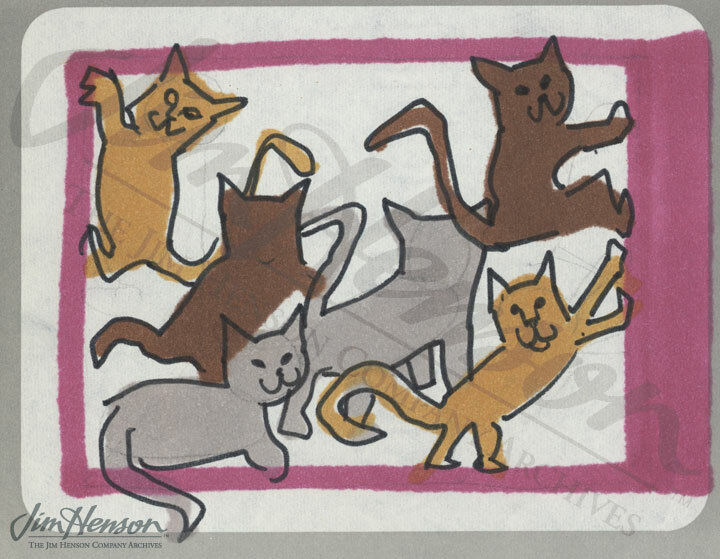 Jim’s cats from the Number Six Baker counting film storyboard, 1969. This entry was posted in 09-September '70, 1970, Sesame Street and tagged Children's Television Workshop, Jane Henson. Bookmark the permalink.